In its final meeting Tuesday before all hell breaks loose, the Master Parking Plan Advisory Committee (it only took me three weeks to get the full name right) plowed through last week’s draft of recommendations and added several more. The committee is delivering its recommendations to the Board of Aldermen at a workshop the board has scheduled for Tuesday, Nov. 21. One new addition to the recommendations is that the Board of Aldermen not take any action, but leave the public hearing and final decisions to January 2018, after new board members take their seats and have had a chance to get settled in and get through the holidays. But like all the other items on the committee’s list, delaying any decisions until January will be up to the current board. Four new aldermen will take their seats on Dec. 12 — a majority of the seven-member board. For a last meeting, the committee had a lot to wade through in 90 minutes: decide which of last week’s recommendations would make the cut this week, tweaking them, hearing a report about directing traffic to city parking lots, whether those lots would be overwhelmed by downtown workers, and so on. Braaten also questioned the concept of enforced two-hour street-side parking that the committee is expected to recommend. Braaten said two hours isn’t enough time for visitors who may want to dine and visit a shop or two, and suggested a three-hour limit, instead. The insistence of enforcing two-hour parking is to discourage folks who own or work at businesses downtown from taking up premium parking spaces all day long. It is hoped that the 300 or so folks who fit that description will use city parking lots at Farmers Market, near the Convention Center, and behind the New Bern Firemen’s Museum. 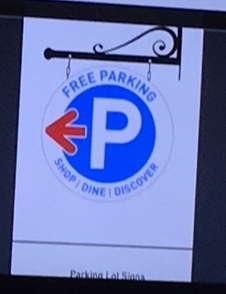 The problem with that is, there are only about 150 parking spaces in those lots, and there are fledgling plans to add signs directing visitors and tourists to those very same parking lots. Do the math. Complicating matters further is that some of those parking spaces — about 20, city officials estimate — are leased. To avoid a run by those seeking to lease more spaces, the committee added a recommendation to place a freeze on any new leased spaces. Ultimately, it will be up to the Board of Aldermen (either the outgoing board if it so chooses, or the incoming board if the outgoing board allows it) that will make any tweaks and final decisions. Tune in next Tuesday, folks. Committee members recognize that their recommendations may be loaded with unintended consequences, such as a gross over-demand of limited spaces at city lots, a flood of downtown workers descending on neighboring streets where there is no time limits, and so on. “A year from now the answers will be a lot more clear,” said committee member and outgoing Ward 3 Alderman E.T. Mitchell. One of those answers may be whether Downtown New Bern needs a multi-level parking structure.